It's easy to forget that up until relatively recently the former New Haven's mainline to Boston east of New Haven, Connecticut was non-electrified. On this occasion the photographer was lurking on an otherwise unidentified highway bridge somewhere east of New Haven expecting to catch one of the United Aircraft TurboTrains; apparently this was one of the many occasions on which the Turbo in question was having mechanical difficulties as the Boston-bound train appeared pulled by a Penn Central Geep instead. 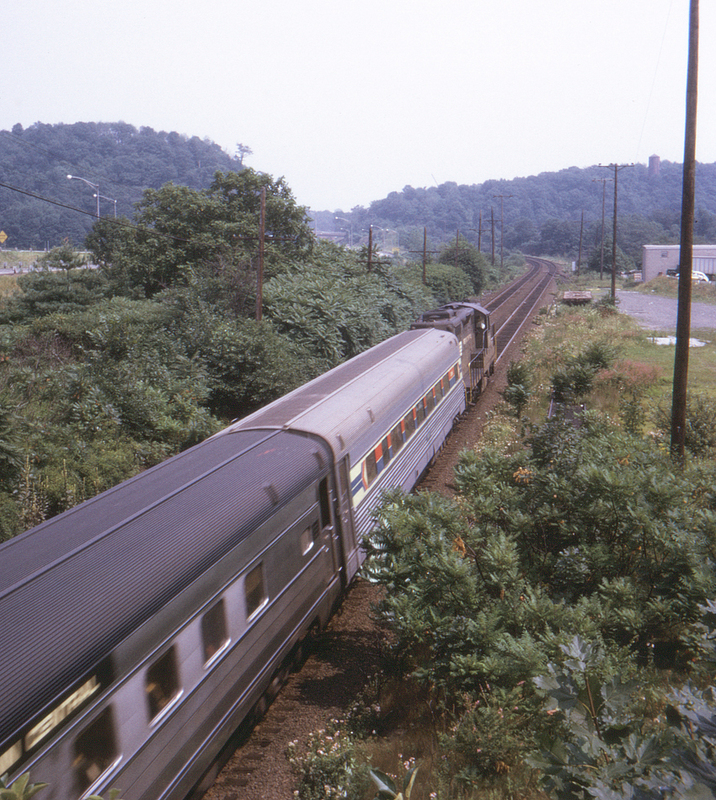 Note the Penn Central coach just below the camera; Amtrak still had a considerable backlog of repainting to do more than two years after starting operations.